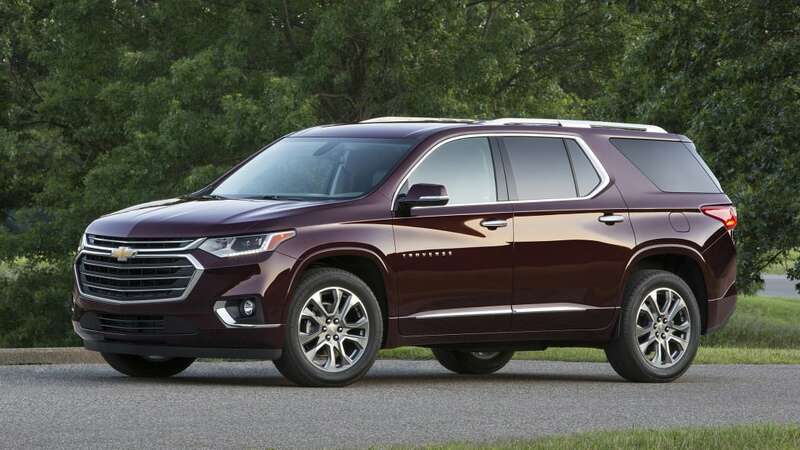 GRAND RAPIDS, Mich. — In automotive terms, the 2017 Chevrolet Traverse is archaic, the last vestige of a pre-bankruptcy GM rolling through our streets, displaced in time. 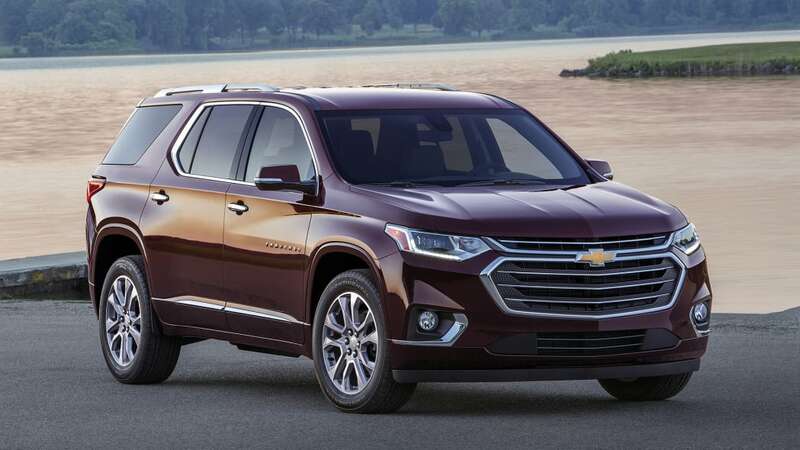 The Traverse, along with the other GM Lambda-platform models, debuted before Obama was elected to office. Before the crossover craze hit its fever pitch. Before the price of oil skyrocketed and subsequently tanked. Before things like active safety and connectivity became marketing headliners. These rolling testaments to plastic and mediocrity felt every bit their age. 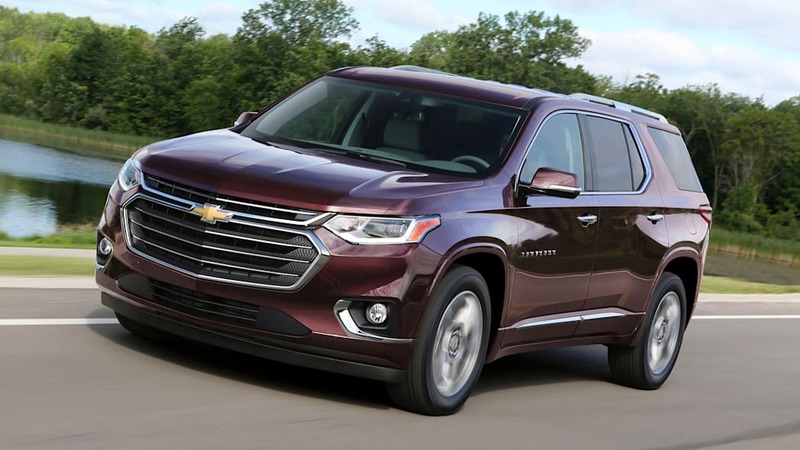 The all-new 2018 Chevrolet Traverse changes that. It's still big. Nearly every single dimension is the same as before. Only the wheelbase, up 2 inches, is significantly different. The styling is far more masculine. Put kindly, the old Traverse was outmoded. This new one is handsome, if not pretty. 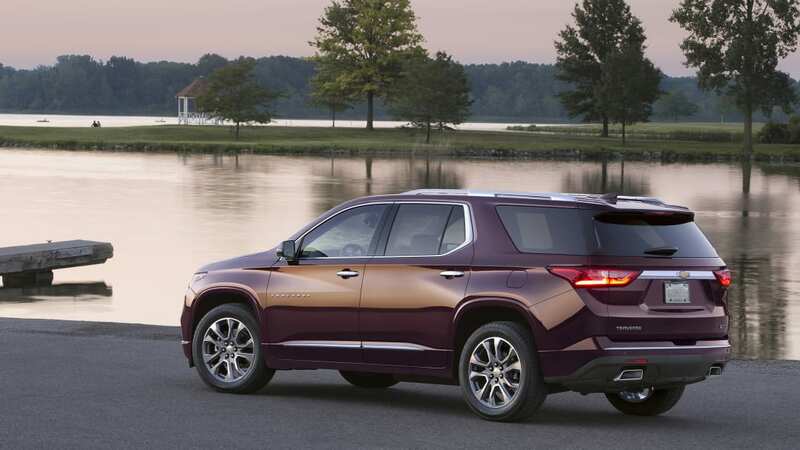 It follows all the same design trends as the rest of the Chevy lineup. 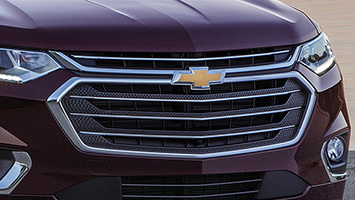 From most angles, it looks like a beefed up Equinox, with a similar face and profile. 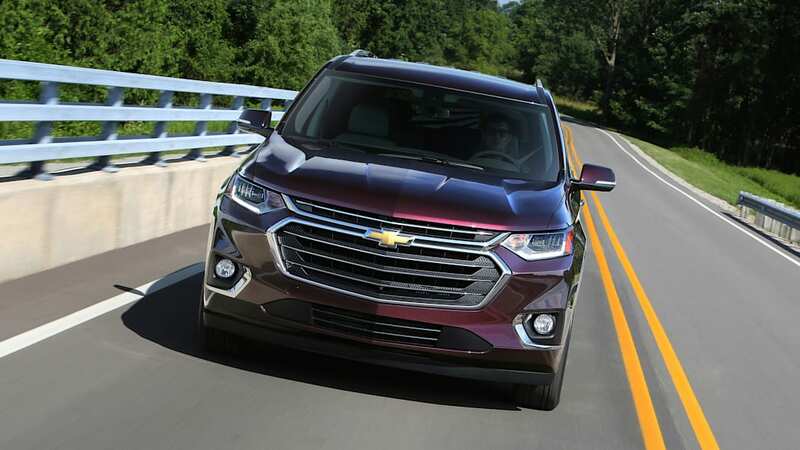 Both have a large split grille that avoids the catfish-like appearance of the Malibu, though the Traverse is far more butch and upright than the Equinox. 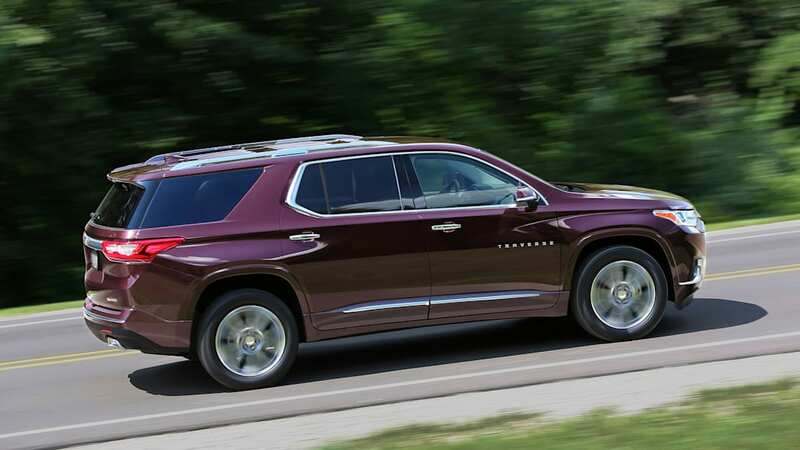 It's intentionally reminiscent of the Tahoe and Suburban. 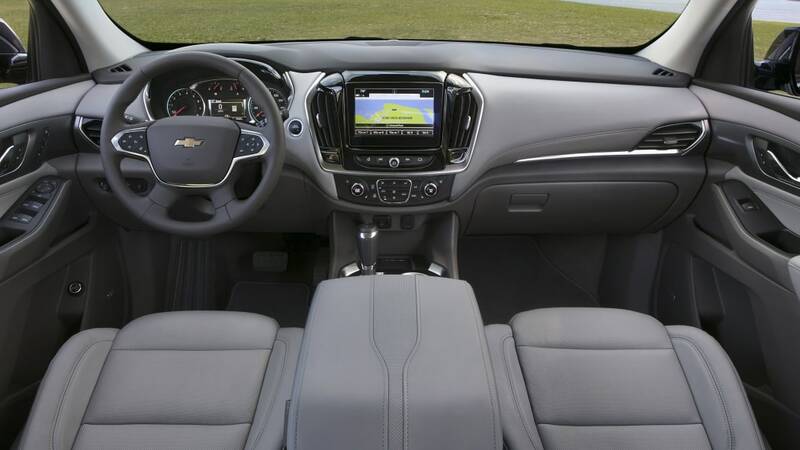 The interior is typical GM, and I don't mean that in a good way. The styling uses soft, organic shapes that looks awkward and bulky. Materials range from piano black to textured plastic to soft leather, leading to little cohesion. The standard leather in my test car was fine, but the brown stitching on the otherwise black and gray interior felt completely out of place. It was as if, at the last minute, they decided a sea of darkness needed some sort of contrast. 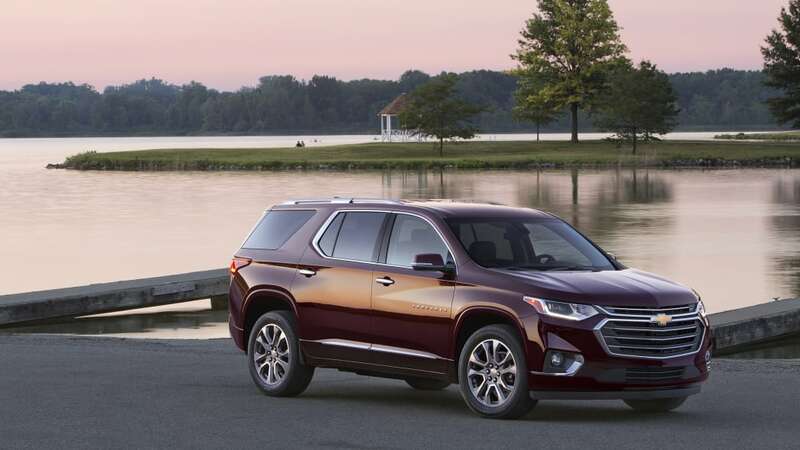 The top-tier High Country trim uses better leather and suede inserts, but the general shape remains. 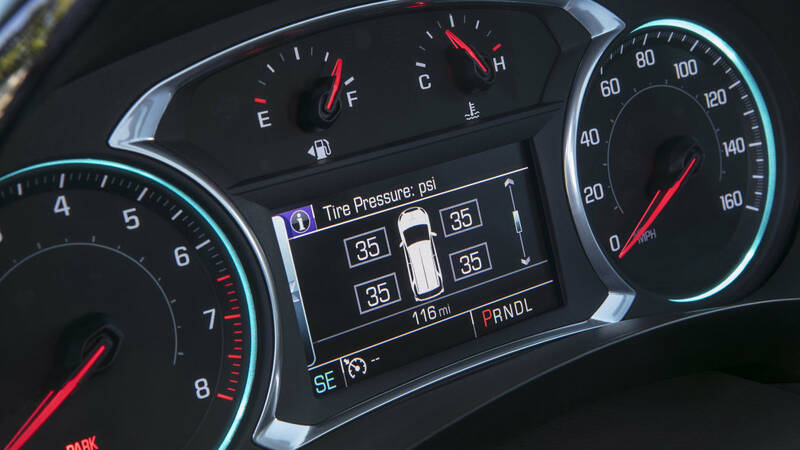 The gauges look cheap, and most surfaces you touch are are either hard plastic or low-grade rubber. 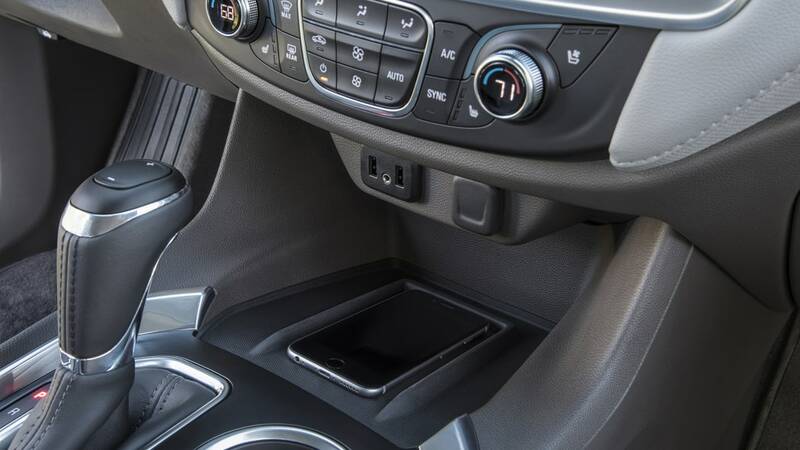 Still, the general layout of the buttons is fine and there are plenty of storage bins and charging ports. Each row packs at least two USB ports with a few 12-volt outlets sprinkled throughout the cabin. 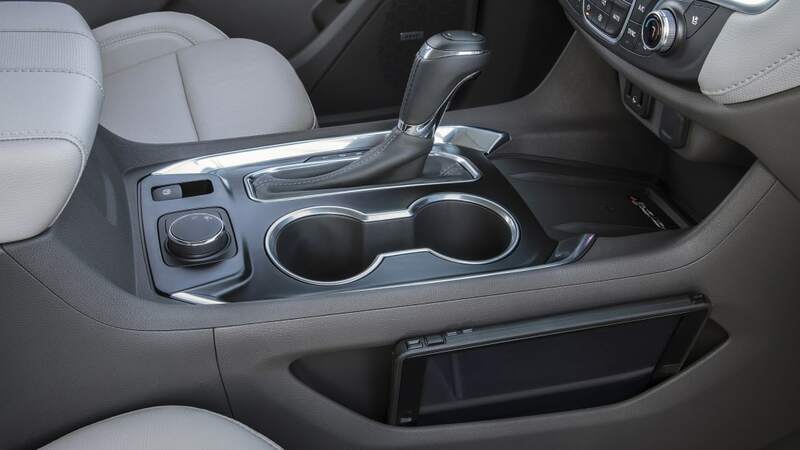 There are plenty of cupholders and cargo bins for various devices, including a slender slot on the passenger side of the center console that's large enough to hold an iPad or other tablet. 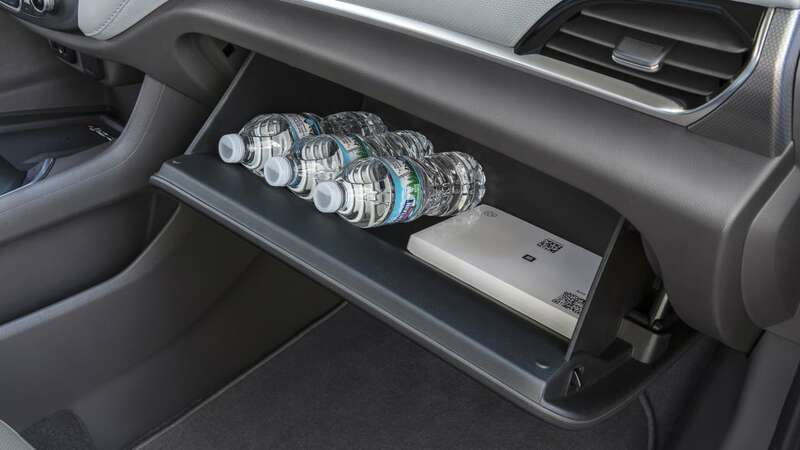 The best storage spot is just behind the infotainment screen. 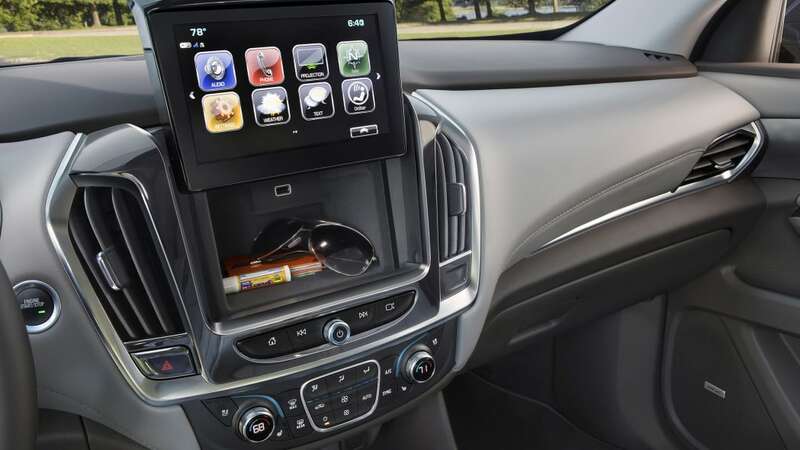 It's as tall and wide as the infotainment screen and nearly as deep and comes complete with a USB port. 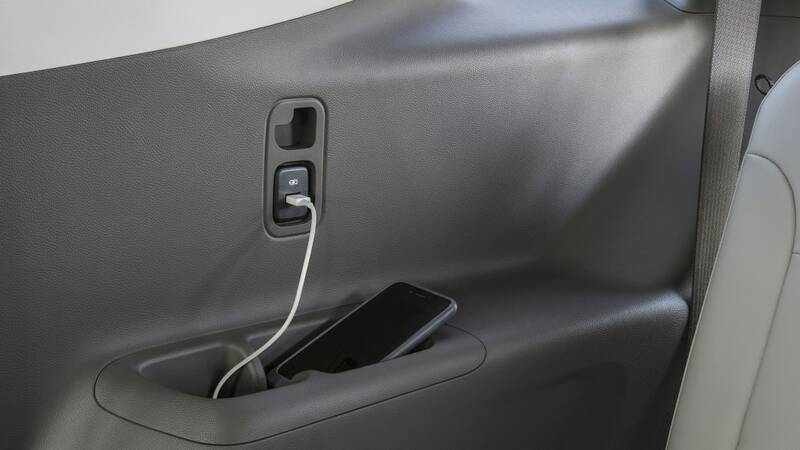 You can't fit a whole purse or bag, but it's good enough for a wallet and smartphone or tow. 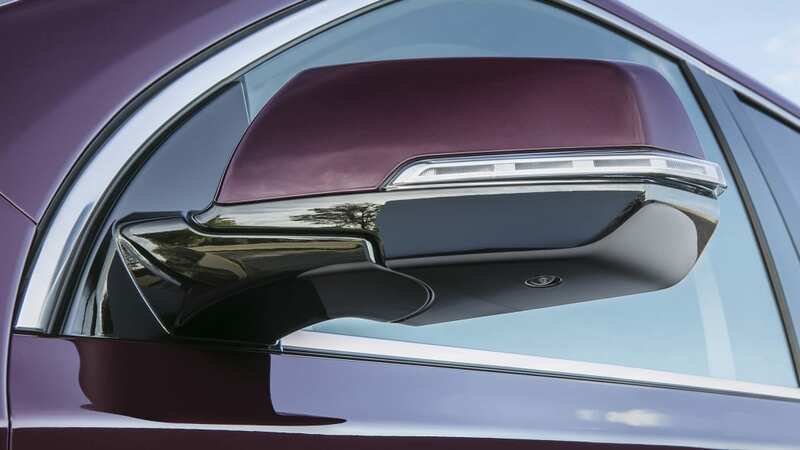 Best of all, valet mode locks everything inside. 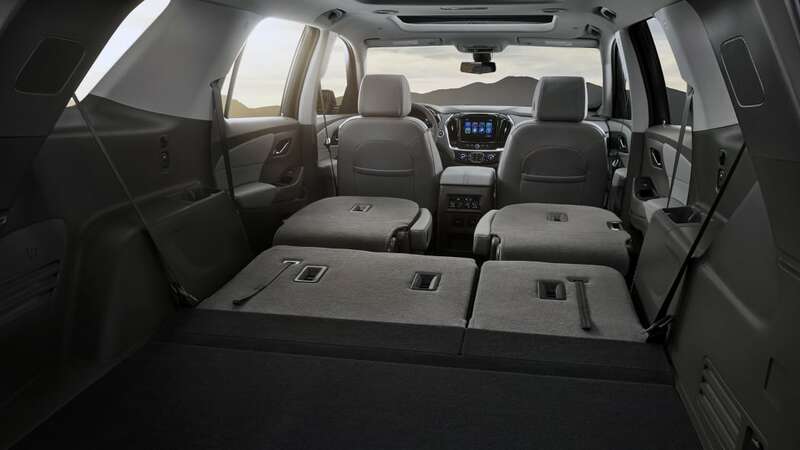 The Traverse comes in seven or eight-passenger configurations, with either captain's chairs or a bench seat in the second row. With both setups, you get Chevy's trick SmartSlide curbside second-row seat. 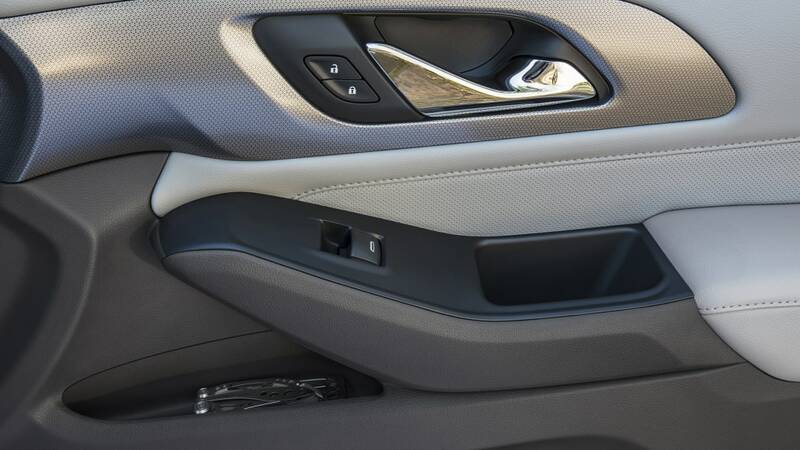 A simple lever moves it up and forward out of the way, allowing easy access to the rear seat. You can even move it with a child seat still in place. 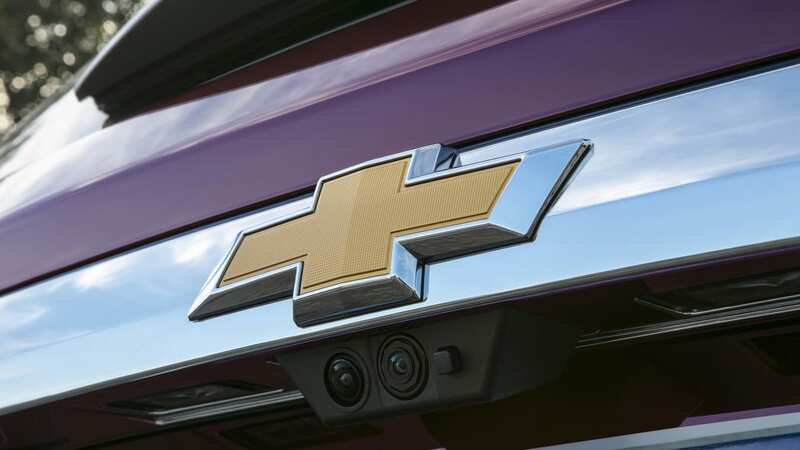 Competitors offer similar solutions, but Chevy's is one of the easiest to use. 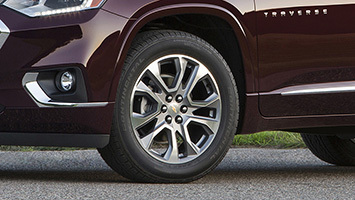 With a 2-inch increase in wheelbase, every row has a generous amount of legroom. I'm six-feet dead and I fit in the third row with only mild discomfort. I wouldn't want to road trip out back, but it's fine for short trips. Head, shoulder and hip room are all equally sufficient. 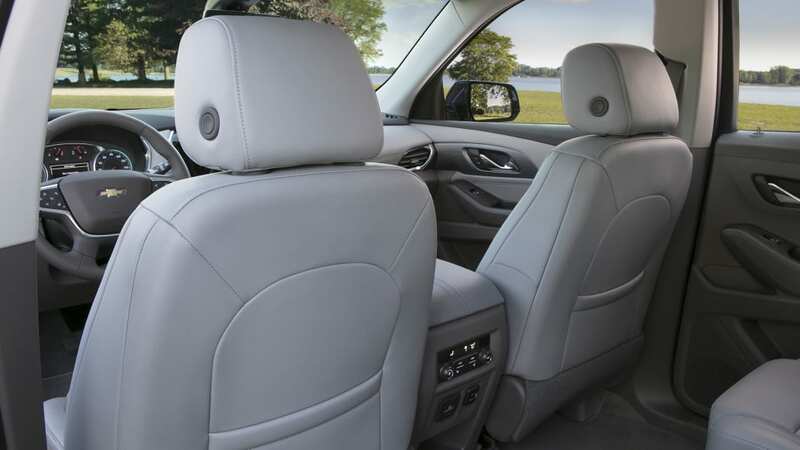 If you need space for passengers, it's hard to go wrong with the Traverse. Even with the third row up, there's a decent sized cargo area. The load floor has a small bin underneath, increasing the usable space. It's wide and deep enough for carry-on luggage and a purse or backpack. Just under that bin is the spare tire, now mounted inside the vehicle. Yes, you'll have to pull all your luggage out when you get a flat, but that beats having to crawl around on the ground trying to remove the spare. The second and third rows fold flat, creating an absolutely cave-like cargo area. 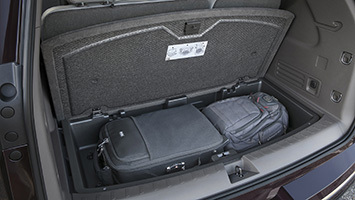 Total space is 98.2 cubic-feet, which is about 17 cubic-feet more than the Ford Explorer and about 14 more than the Honda Pilot. Flat sides mean there's nothing for cargo to catch on when sliding in or out. 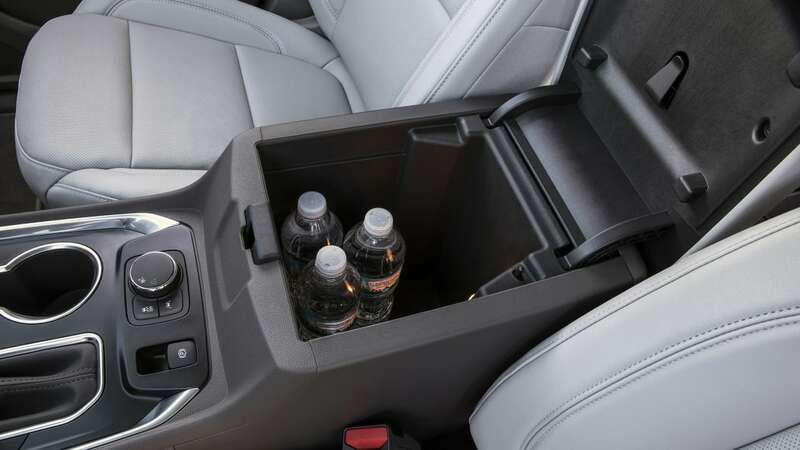 Increased passenger and cargo space aren't the only improvements, though. 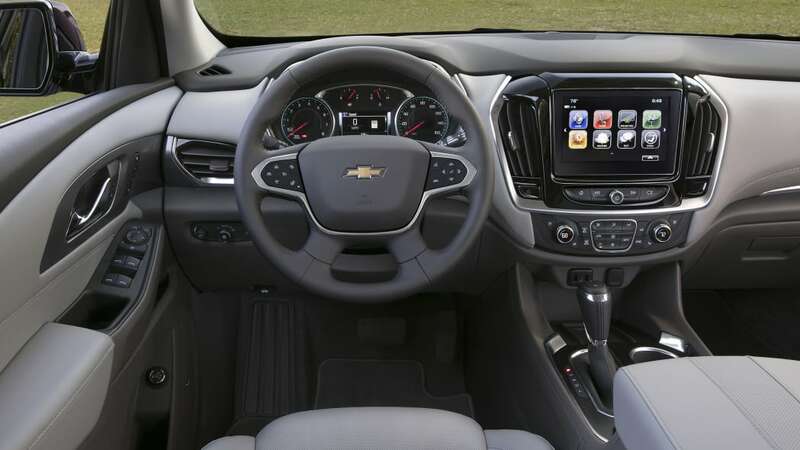 The Traverse comes with either a 7- or 8-inch touchscreen infotainment system loaded with Chevy's MyLink. The system is better than average, with a simple layout and a number of integrated apps like iHeartRadio, Pandora and Audiobooks.com. Those apps sync directly with your account, so no smartphone needed. The data is pulled from the 4G LTE system. The WiFi hotspot can connect up to 10 devices. Still, if you're like me, you'll be happy to know that Android Auto and Apple CarPlay are available. As expected, the 2018 Traverse comes equipped with a whole suite of active safety technology. 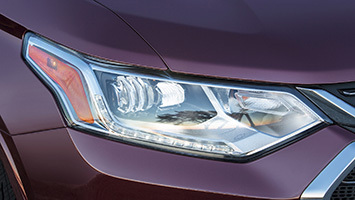 Adaptive cruise control, front pedestrian braking, full- and low-speed emergency braking, teen driver settings, a (rather annoying) rear-seat reminder, and D-Optic LED headlights. 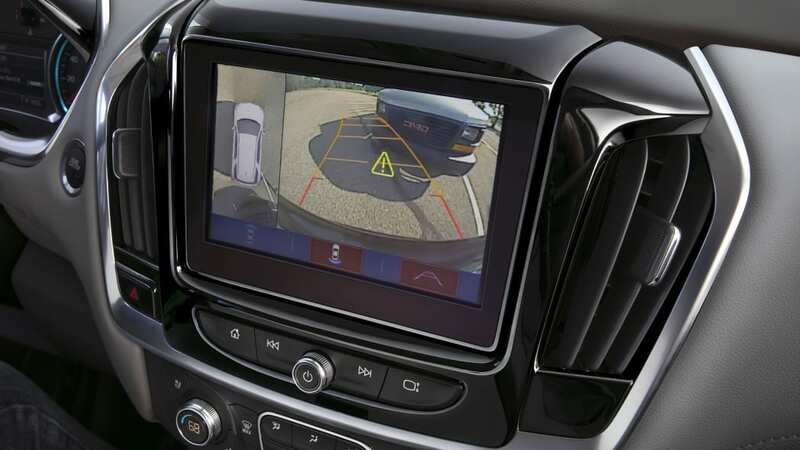 Other safety features include an entire array of parking sensors and cameras, the most notable of which is the Rear Camera Mirror. A small toggle on the bottom of the mirror replaces the traditional reflected image with a crisp picture from a rear-mounted camera. It's odd at first. Your reference point for depth is all wrong and your eyes don't adjust as quickly. That said, after forcing myself to use it, my eyes adjusted. Neat, but not a make-or-break feature. 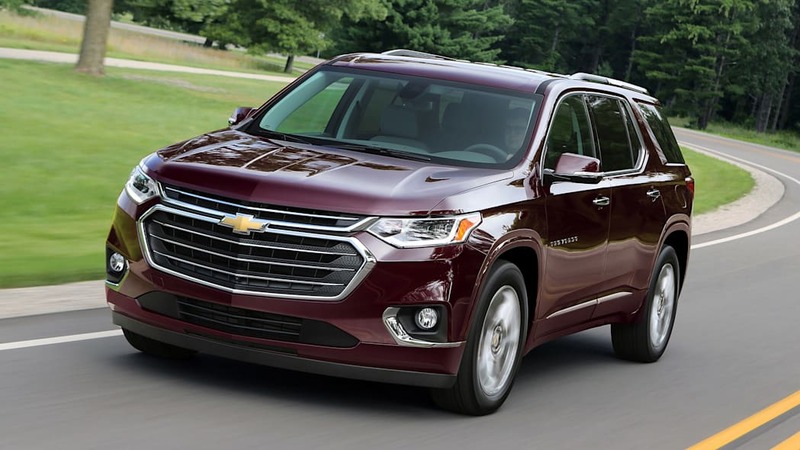 The 2018 Traverse has two available engines, a turbocharged 2.0-liter inline-four and a 3.6-liter V6. Most Traverses will roll out from the factory with the latter, as the turbo four is only available on the front-wheel-drive RS model. The four-pot mill makes 255 horsepower and 295 pound-feet of torque, which is actually more torque than the V6. That engine turns out 310 horsepower and 266 pound-feet of torque. 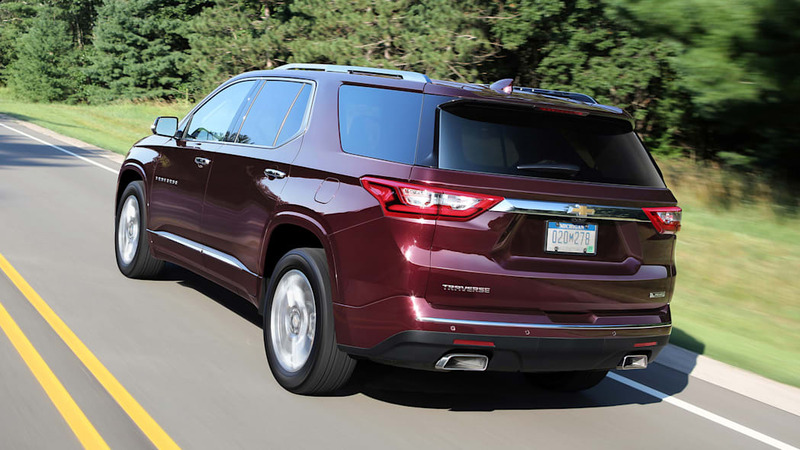 Both engines are mated to GM's new nine-speed automatic. While it's not necessarily quick, the V6 never feels like it's struggling or out of breath. It's adequate and should be good enough for most people. 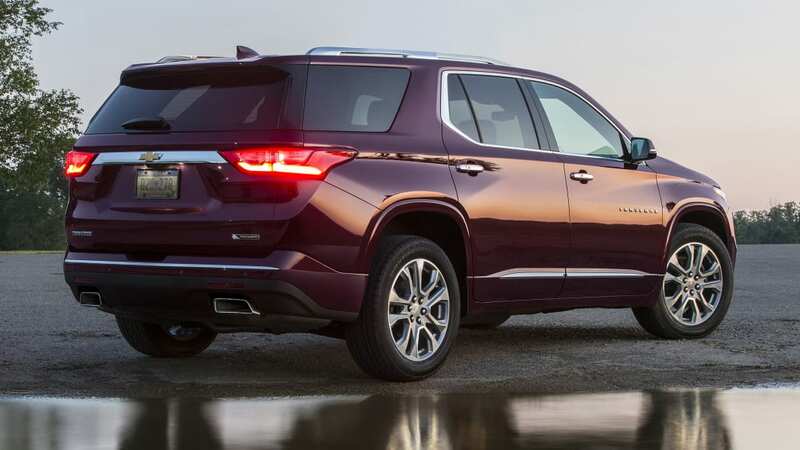 No one buying a Traverse cares about 0-60 mph or quarter-mile times. The nine-speed transmission was pleasantly surprising. Unlike the nine-speed in the Honda Pilot or various Jeeps, this one never felt like it was hunting for the perfect gear. The auto stop/start system is one of the best around, with a very minimal delay. Still, I wish I could turn it off. Ride and handling, like the power, are average for the class. I was mostly comfortable, even after a few hundred miles of Michigan roads that occasionally resemble the cratered surface of the moon. The steering feel is as vacant as a dorm room in July. No one's home. 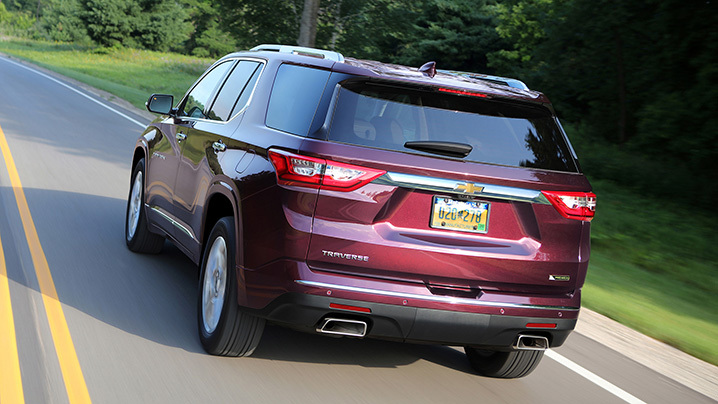 Still, the suspension and steering did help the Traverse feel smaller than it actually is. 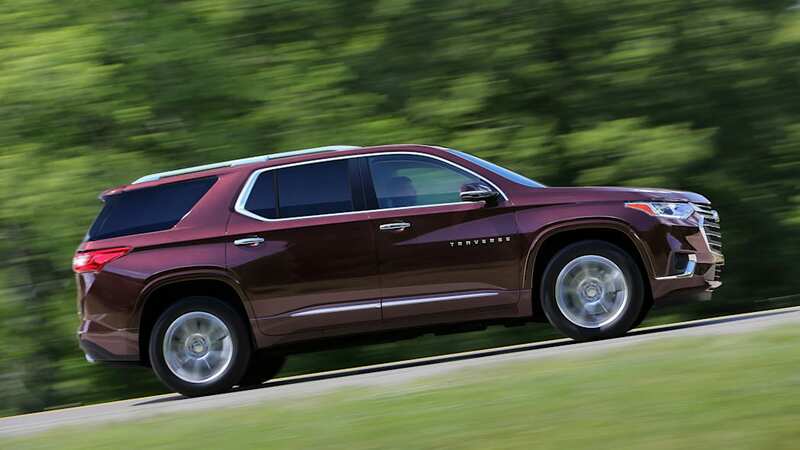 It's big, but unlike the Ford Explorer, it doesn't feel like it. 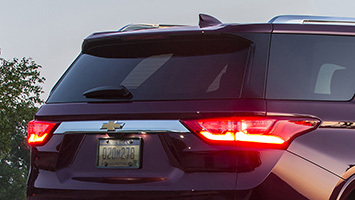 Despite the best noise-cancelling efforts from Chevy and Bose, the Traverse has some wind noise coming from the A-pillars. The sound system is pleasant and mostly drowns out the rushing wind at anything but the lowest of volume settings. 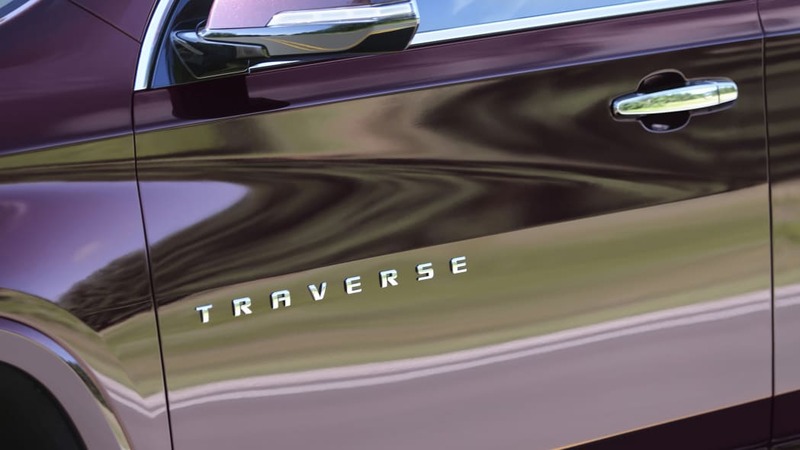 Taken as a whole, the new Traverse is a bit of a mixed bag. It doesn't do anything new or groundbreaking, but there are no fatal flaws either. 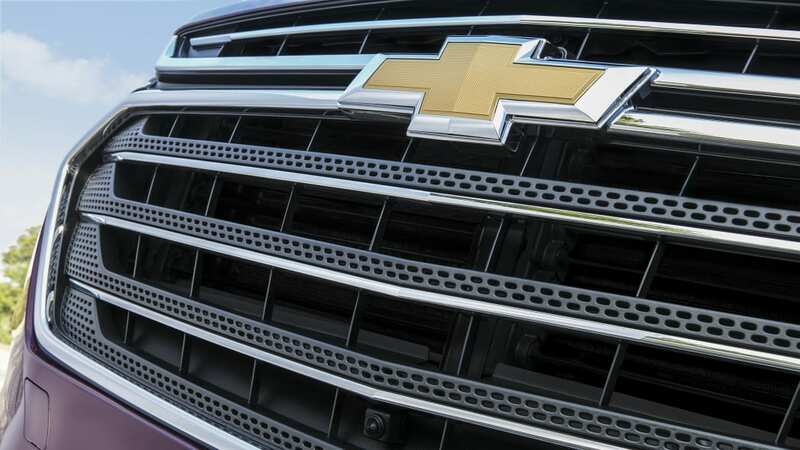 It's a solid, if uninspiring effort from Chevrolet. The interior is a letdown, especially when compared to something like the masterful design inside the Honda Pilot. 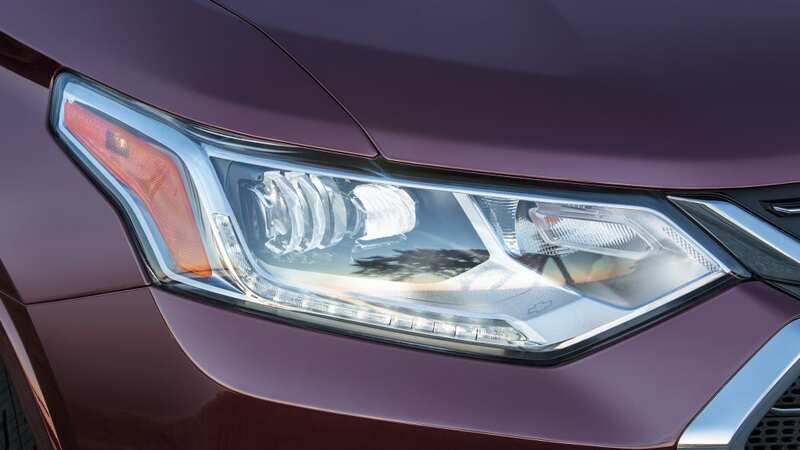 The Honda manages to feel both premium and hugely versatile, while the Chevy only manages the latter. That seems to be endemic of GM as a whole right now. 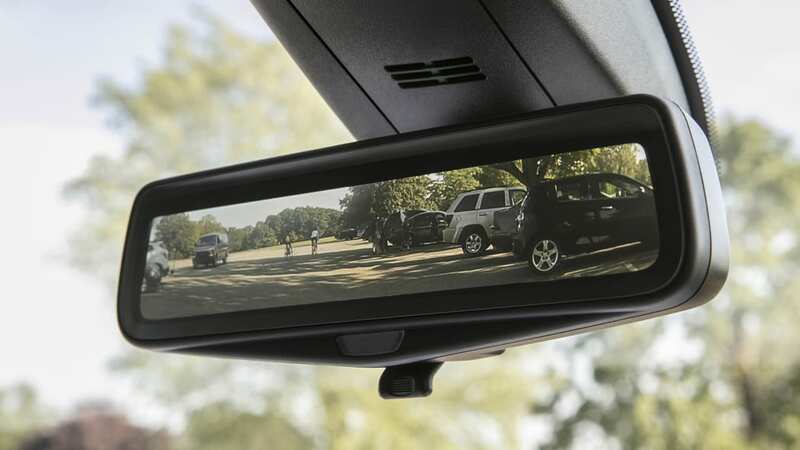 The Traverse does have size on its side, and if you need the space, then it's hard to look elsewhere.